Kalmar, part of Cargotec, introduces the world's first real hybrid straddle and shuttle carriers consuming up to 40% less fuel than existing machinery. In addition to the best fuel efficiency in the market, the new Kalmar hybrid models meet the tightest engine emission regulations, reducing the carbon dioxide emissions by over 50 tonnes per year compared to a traditional diesel-electric machine. Besides advanced hybrid technology, Kalmar presents upgrades and new features over its entire offering of straddle and shuttle carriers in response to customer needs. "In designing our next generation machines, we have been guided by the port and terminal industry's requirement for low total cost of ownership, environmental sustainability, excellent usability and ergonomics, safety, productivity and automation," said Dr. Tero Kokko, Kalmar's Vice President, Horizontal Transportation. "We think that the new Kalmar hybrid straddle and shuttle carriers are a true leap forward in terminal yard equipment, and are confident that they will offer significant customer benefits throughout the equipment life time." In the Kalmar hybrid straddle and shuttle, a regenerative energy system converts electrical braking and spreader lowering energy into electric power that is stored by means of state-of-the-art battery technology. An automated start-stop system chooses the optimal balance between engine and battery power. This extends engine and generator lifetimes as well as maintenance intervals. The system can deliver a remarkable 40% decrease in fuel consumption compared to existing machines on the market. This not only adds up to significant cost savings for the terminal, but also improves the sustainability of operations. Created in close cooperation with customers, the redesigned cabin features a more spacious interior as well as new window geometry reducing night-time reflections. The user interface is intuitive, the cabin has more ergonomic seating, reduced noise level and excellent visibility into all directions. The new automatic stability control ensures smooth and safe driving by continuously monitoring speed, turn radius and the spreader's position, slowing the vehicle automatically when needed. This makes the machine safer to operate without decreasing performance. The new active stability control comes as a standard for Kalmar hybrid and electric straddle and shuttle carriers. 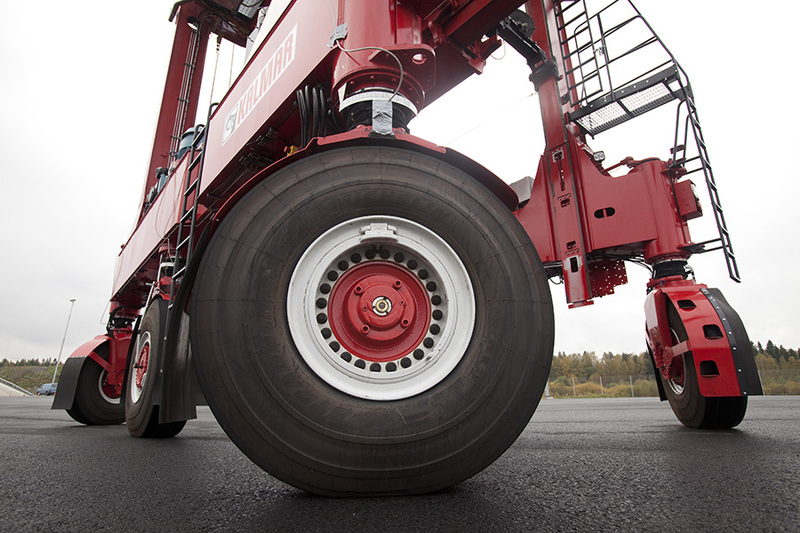 The new wheel setup allows Kalmar hybrid and electric shuttle carriers to manoeuvre with greatly increased precision and speed. Each wheel can be individually controlled and there are four different steering modes according to the operating situation. The radical increase in agility enables shorter work cycles and reduces terminal congestion. 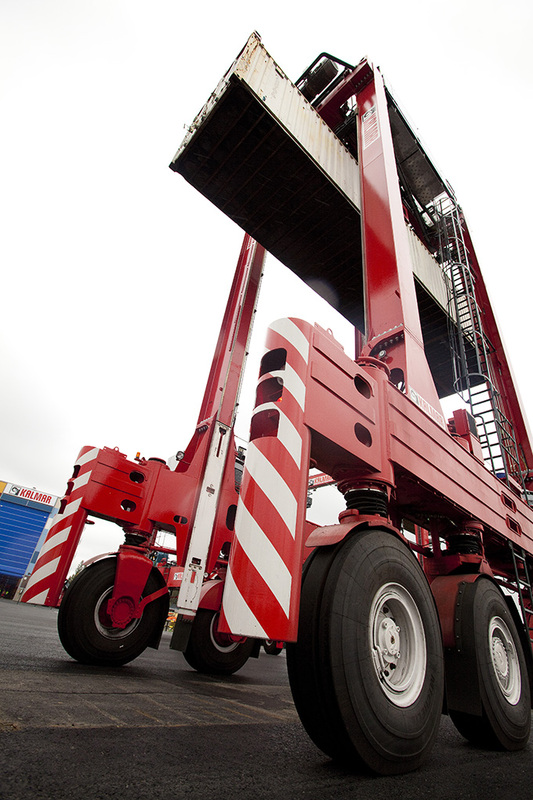 All Kalmar straddle and shuttle carriers can be equipped with remote connection and monitoring enabling diagnostic applications with remote problem solving capability. Efficient automation solutions can bring significant gains in productivity and safety in container handling logistics. All the Kalmar models are future-proofed for automation and integrate seamlessly with the Kalmar SmartPort automation solutions. The automation level of new machines can be customised based on the terminal's needs. Straddle carriers help optimise terminal productivity by decoupling waterside and landside operations. Their speed, reach and flexibility allow terminals to use a single type of equipment for all container operations. Shuttle carriers, in turn, are the ideal horizontal transportation system for terminals designed around automated stacking cranes or rubber-tyred gantry cranes. For both straddles and shuttles, Kalmar provides three models for the customers to choose from: the hybrid, the electric and the classic. 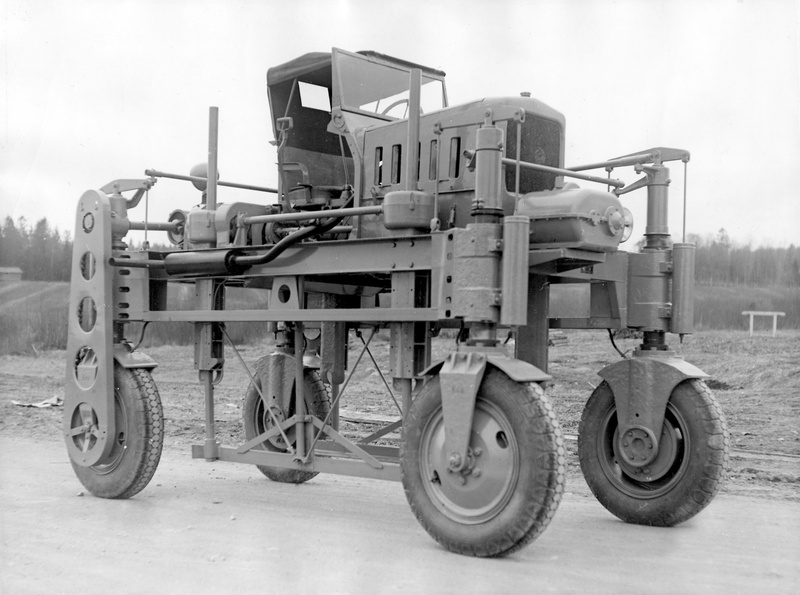 Kalmar's new generation hybrid carriers draw upon an unparalleled technical heritage and experience of over 70 years. To date, over 5,000 units have been delivered to customers around the world. The first automated Kalmar straddle carriers were used in commercial operations in 2005 in Brisbane, Australia. 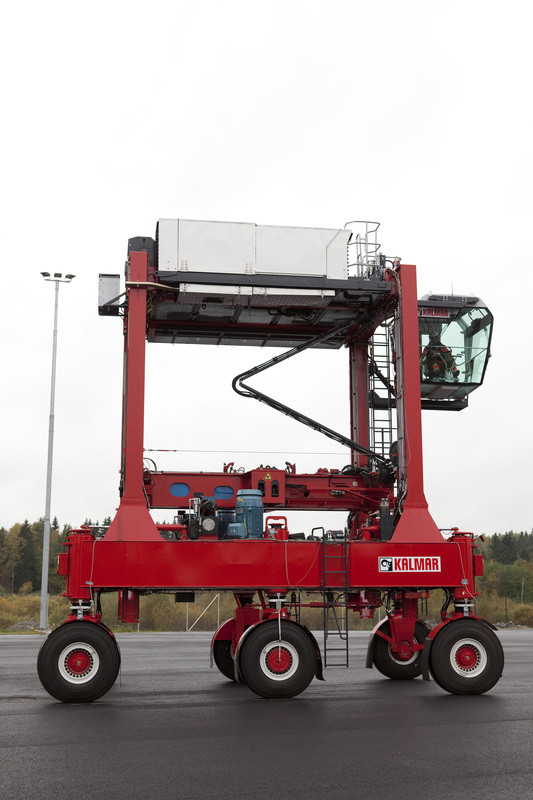 The home base for straddle carrier R&D and testing is Kalmar's Technology and Competence Centre in Tampere, Finland, where Kalmar focuses on the development of energy-efficient, safe and intelligent machinery and automation solutions.